High taxes for this state’s growers and dispensaries could mean lower costs for patients. After passing Senate Bill 3, Medical Marijuana Act (MMA), back in April, Pennsylvania lawmakers are now beginning to figure out what the financial regulations for this ground-breaking law will look like. With so many different streams of revenue to consider, officials are hoping to organize a system that benefits patients, as well as the state economy. Buying into the medical marijuana market might seem like a great idea. It’s a hugely lucrative business, with an endless customer base, plus it’s a sector of the economy that truly saves people’s lives. Unfortunately, unless there’s $2 million laying around somewhere, average residents don’t stand a chance at entering the PA market. With high prices set for licensing of both dispensaries and cultivation, PA hopes the residual effect will be less cost to consumers. Senate Bill 3 is one of the strictest medical marijuana laws to ever pass, even excluding the legalization of dry herb. So it should come as no shock that regulations surrounding the licensing of the cannabis market would be just as strict and uncompromising. With very few slots available, residents are scrambling to gather funds to be one of the lucky few to own a legal cannabis business. There will only be 25 grower licenses dispensed throughout the state. To even be considered a contender, applicants must pay a non-refundable $10,000 application fee. Before they even know if they’re approved for the license, $200,000 is due for a one-year processors license, just in case. If the application is denied, luckily, the $200,000 will be returned. Before beginning any of this, growers must ensure there’s $2 million is raw capital, with at least $500,000 of that existing in a back or trust. Dispensary regulations are slightly less intimidating. With 50 licenses being assigned, these owners will have the option to operate three stores under one license, essentially meaning there could be a maximum of 150 dispensaries statewide. To get started applicants will need $150,000 in raw capital existing within a bank, a non-refundable $5,000 application fee and a dispensary fee of $30,000 per year per store location. With such steep prices for entrepreneurs, officials are hoping it will help to keep the market legitimate and stop the government from needing to collect sales tax on cannabis. As it stands now, patients will not pay the standard 6% state sales tax applied to almost all purchases. To make up the difference, growers will be charged a 5% tax of every cent they make selling medical marijuana to dispensaries. The Medical Marijuana Program Fund has been set up to explicitly outline where marijuana revenue will be allocated to. The state’s Department of Health will receive the largest portion, at 40%, for operational and outreach costs; 30% will be used to conduct research to discover more medical conditions helped by cannabis; 15% will help patients and caregivers who have difficulty obtaining licenses or medication; 10% to the Department of Drug and Alcohol Programs for abuse prevention and rehabilitation efforts; finally, 5% to Pennsylvania’s Commission on Crime and Delinquency to help police forces statewide. An active marijuana market is not expected to be in full operation for another 18-24 months, but businesses and residents are certainly preparing early. 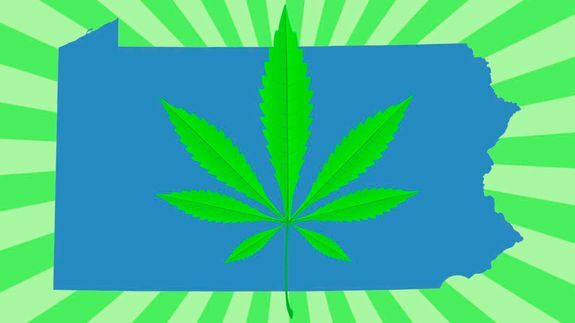 Even those who disagree with the legalization cannot deny, this is going to mean big things for a state that has been suffering from one of the country’s largest budget deficits. Do you think the financial regulations are fair? Let us know on social media or in the comments below.